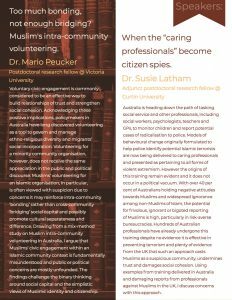 AAIMS and the University of Melbourne look forward to hosting a seminar on ‘Muslims in Australia: A matter of trust’ with Dr Mario Peucker and Dr Susie Latham. 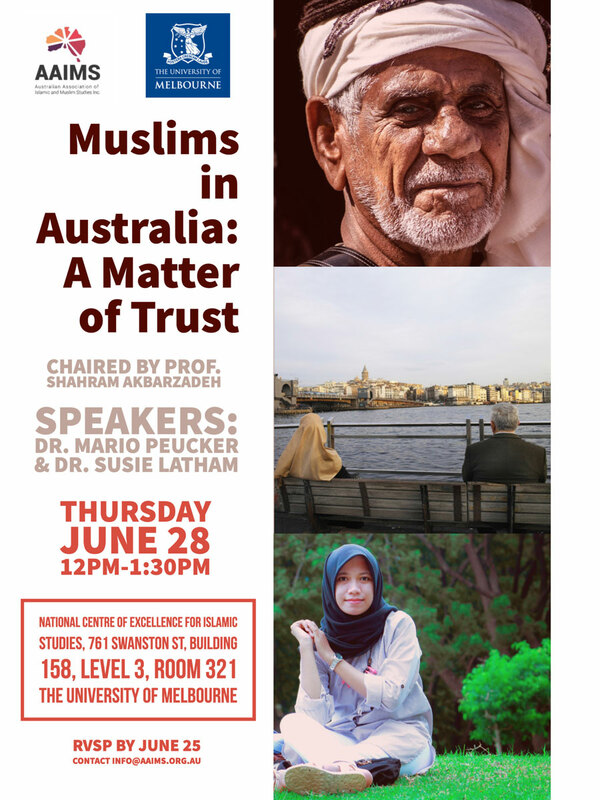 The seminar, which will take place on Thursday June 28, will be chaired by AAIMS President Professor Shahram Akbarzadeh. 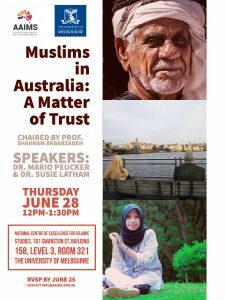 For full details, download the flyer or view the image below.